Born: 1st May 1881, 41, Wells Street, St. Helen’s, Ipswich. Died: 13th March 1915; age 34; Died at Estaires from Wounds received at the Battle of Neuve Chappelle. Employed: Ransomes, Sims & Jefferies, Orwell Works, Ipswich. Relatives Notified & Address: Son of Sarah Ann Clements, of Ipswich & the late Walter Clements. 1891 41, Wells Street, Ipswich. John was 9 years old and living with his parents & brother. Walter John Clements, 33, a Blacksmith, born Whitton, Suffolk. Sarah Ann Jane Clements (nee Warn), born Ipswich. Philip Walter Clements, 8, born 41, Wells Street, Ipswich. 1901 41, Wells Street, Ipswich. John was 20 years old, a Fitter – Engine. He was living with his parents & brothers. Philip, 18, a Fitter – Gas. Albert Patrick Clements, 8, born Ipswich. 1911 117, Cemetery Road, Ipswich. John was 29 years old, a Lawn Mower Tester – Iron Foundry – Lawn Mowers. He was married and Head of the Household. 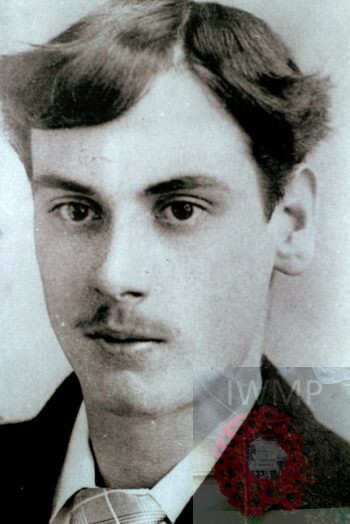 John’s father, Walter John Clements died June 1915, Ipswich. Doris Myra I. Clements, born 1904, St. Helen’s, Ipswich. Gertrude Winifred M. Clements, born May 1906, St. Margaret’s, Ipswich. Herbert Henry John Clements, born 1908, St. Margaret’s, Ipswich. Gladys Catherine A. Clements, born December 1910, St. Margaret’s, Ipswich. Soldiers’ Effects to Walter & Sarah Ann Clements – parents. John is also remembered on the Orwell Works Memorial Ransomes Sims & Jefferies Ipswich. The 4th Battalion the Suffolk Regiment entered the battle on the 11th of March taking up positions on the out skirts of the Neuve Chapelle facing the Bois Du Biez which later were ordered to occupy. The 4th Battalion lost many men through shelling on their positions followed by a counter attack on the 12th by the Germans. In total the Battalion sustained 217 casualties.